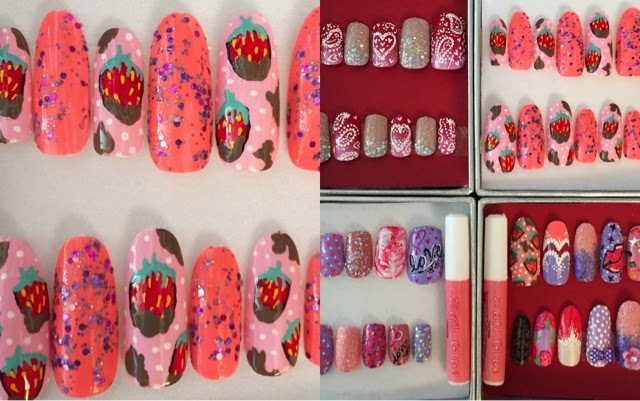 A few weeks ago I recieved a rather exciting message from Remi @onlyremedy through Instagram,asking me to help out at an event painting nails,my first thought was...Ahhhh Yessss! This is exactly the kind of thing I want to be doing,the more I heard the more excited I was about the whole thing. 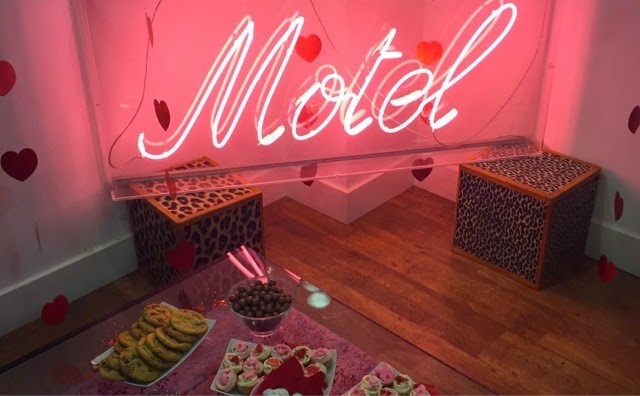 Motel Rocks were throwing a #GRWmotel Valentines event for bloggers to get pamperd,St Tropez were there,doing spray tans,Glitter Lips UK were at the ready,glamming everyone up with glittery lips. 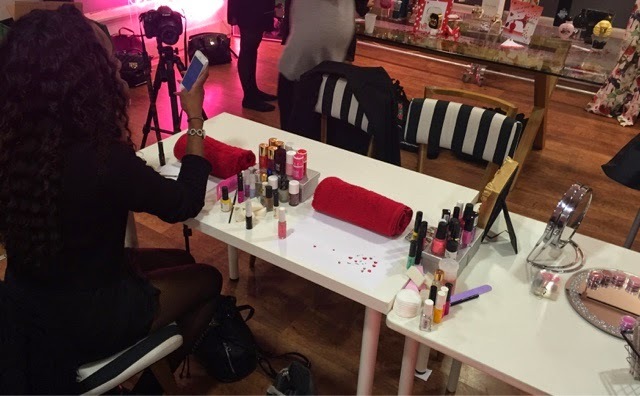 Godiva were handing out chocolate strawberries,benefit doing Brow makeovers,me and Remi were there to paint some nails...what a pamper sesh! 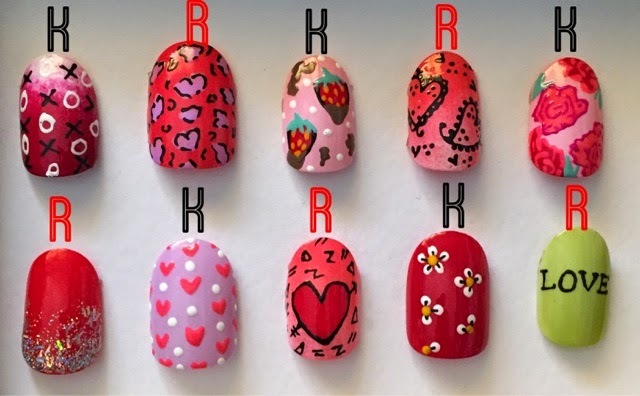 With the time we had,and the amount of people's nails we potentially had to paint,we came up with a nail menu,5 designs each,so the bloggers could choose any design above as an accent nail. 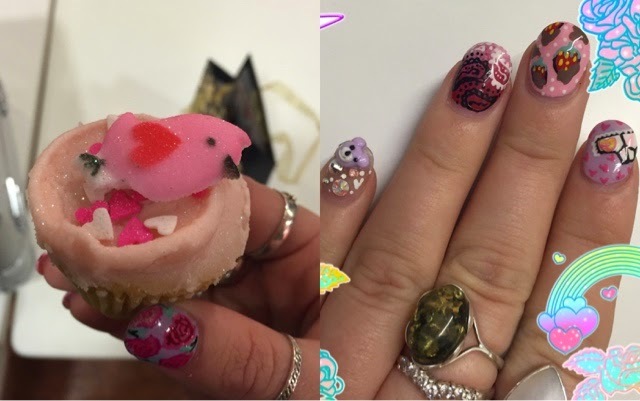 This was both mine and Remis first event,we both love nail art and dream of doing this as our job,so this was such an amazing experience and opportunity to network. Everyone was so lovely and we met so many lovely ladies,it was great meeting all the bloggers that I read about on there blogs etc too. 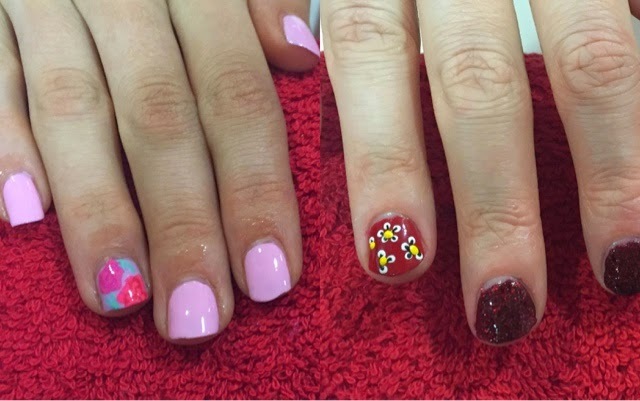 I'm so happy and proud with how well we done,it's not my best work,as I was a little nervous,not much time with each person and painting other people's nails,is actually a lot different than painting your own. 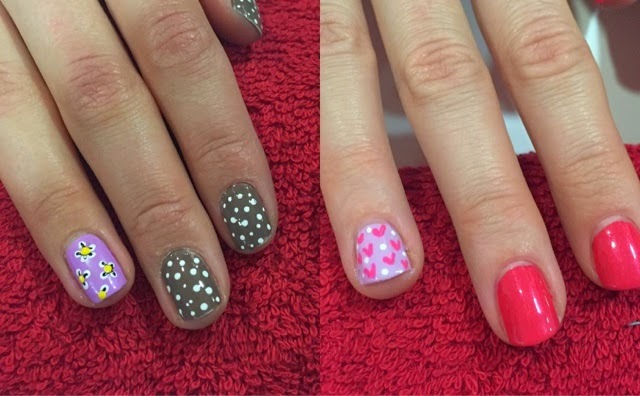 Despite that I was proud with the results of everyone's nails,I also gave out a couple nail sets,that I had pre painted to give to some bloggers,that may not, of had the chance to get there nails painted.